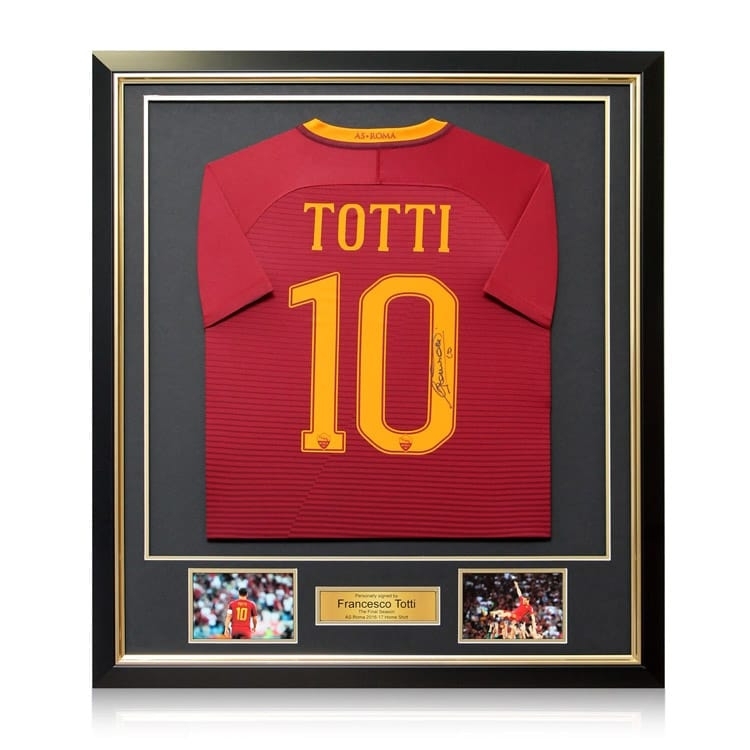 Roma 2013-14 home shirt, signed by Francesco Totti. 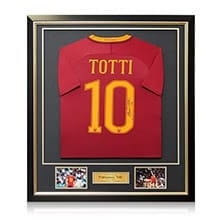 This AS Roma shirt was personally signed by Francesco Totti on March 21, 2014 in Trigoria, Italy. Totti is a legend in Italy, both for his loyal service to AS Roma, for whom he has made over 700 appearances and scored over 290 goals, and for his pivotal role in winning the World Cup for Italy in 2006. He is the second top scorer of all time in Serie A.